The IKEA Lack side table is a simple and hard-lined minimal table that has been a staple IKEA product Ince 1979. 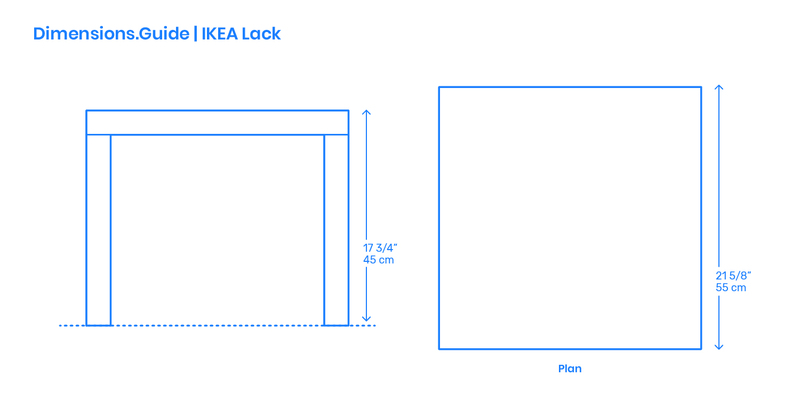 Made of particleboard, fiberboard, and acrylic paint, the IKEA Lack consists of four screw-on legs and a square tabletop surface of consistent widths. The IKEA Lack side table has a height of 17 3/4” | 45 cm and a top surface with widths of 21 5/8” | 55 cm.